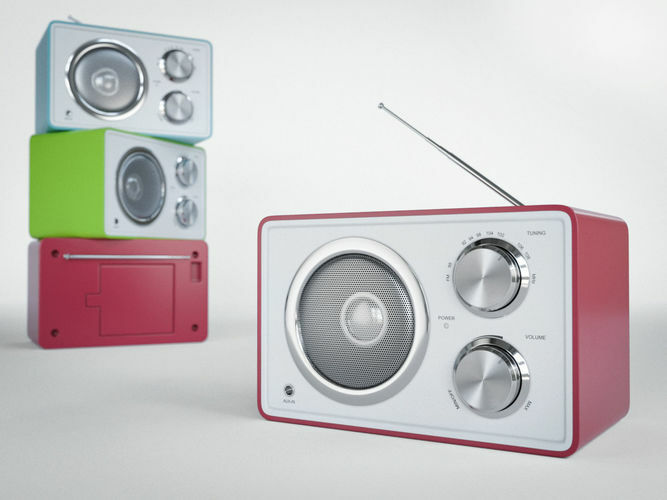 Detailed 3D Model of a simple design radio in different colors. Colors can be easily changed. The 3ds Max file has a Turbosmooth Modifier applied (not collapsed), so modifications can be made. The .obj and .fbx files come subdivided and unsubdivided. The .3ds file comes unsubdivided. Unsubdivided Polycount: 8.039 Subdivided Polycount: 105.842 The model comes wirt CORONA Materials All Textures included. Need other formats? Question? Problem? Feel free to ask.